In the latest May issue of Game Informer, Warner Bros. and NetherRealm Studios revealed a new character named Cetrion that will debut in Mortal Kombat 11. 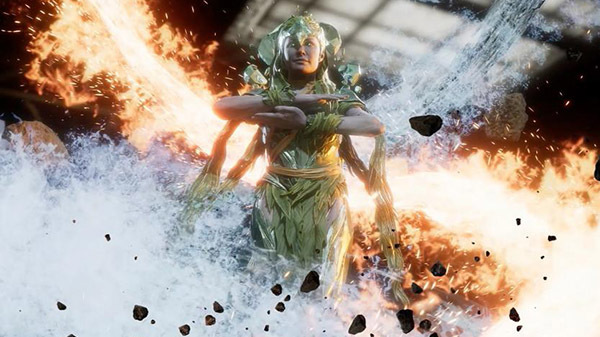 Cetrion in Mortal Kombat 11 is one of the Elder Gods that specializes in various elemental abilities that highlights her connection to the Earth. More information on Cetrion will be revealed on the May 2019 issue of Game Informer. In addition, Mortal Kombat 11 will also be their cover story where fans can look forward to about fourteen pages of coverage. Mortal Kombat 11 will be available on April 11 for the Xbox One, PlayStation 4, Switch and PC. Check back with us near the release date for our game coverage.